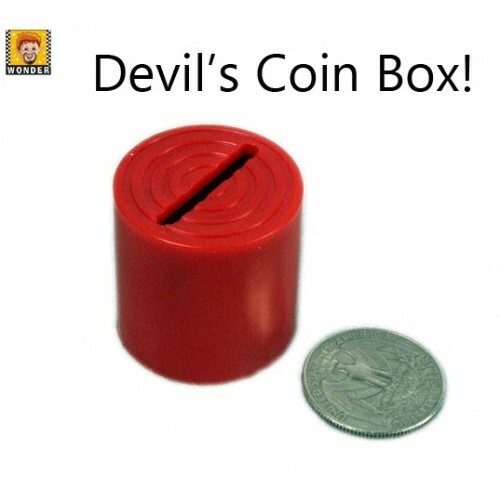 You take a coin from your friend and put it inside the devils coin box. You rattle the box and say that the devil is at work, as you hear the coin rattling inside. Hand over the box to your friend. When he shakes the box- there is no sound! The coin has vanished! A superb trick for any place. Easy-to-do Street Magic. Fits in the pocket as well.